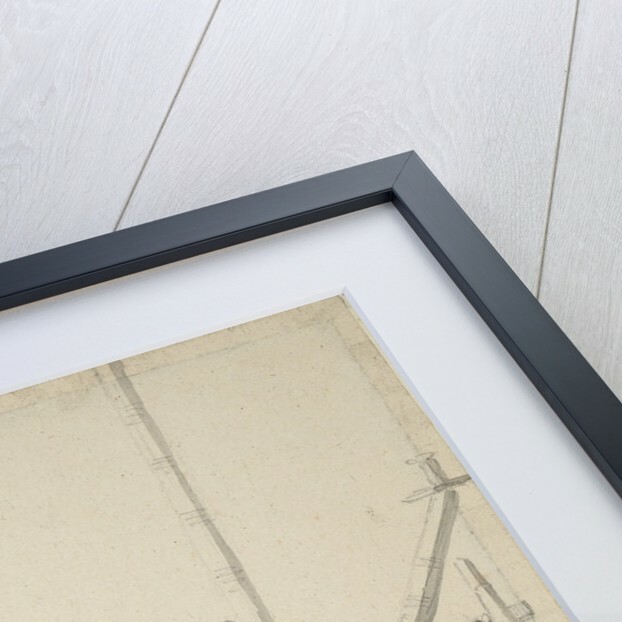 Product images of Portrait of the 'James'? 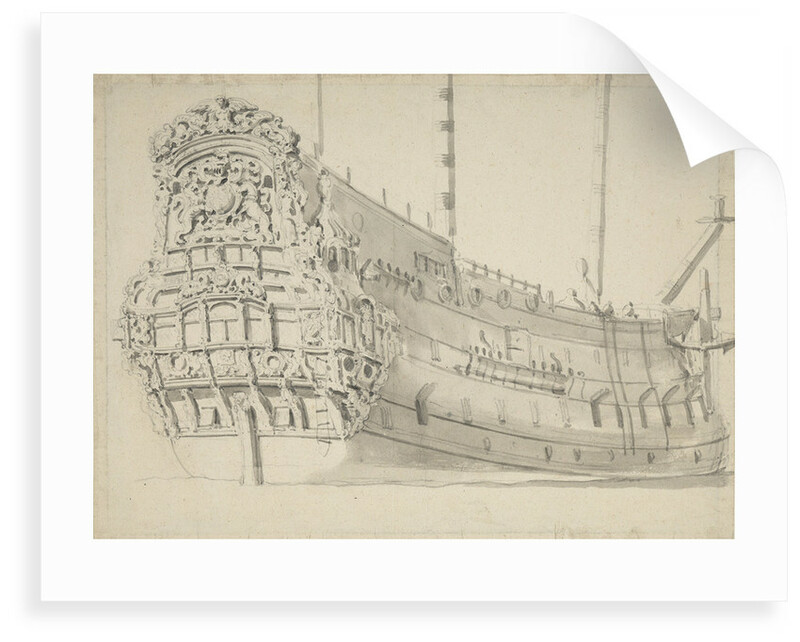 A starboard-quarter view portrait of a ship that may be the 'James', 70-gun second-rate, built 1634, renamed 'Old James' 1660, sold 1682. There are small wreathed ports on the upper deck. On the tafferel is an early type of royal arms with a lion statant as a crest above a helmet. On the rail above is a bust of an angel with dolphins on either side. Between the two rows of stern windows is 'CR' on a shield supported by dolphins. 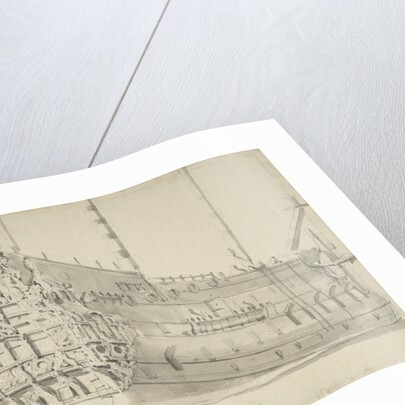 This is probably one of the large Charles I ships which were not rebuilt as three-deckers, the 'Rainbow', the 'Unicorn' or 'Old James.' The 'Rainbow' appears to have been much altered in her rebuilding circa 1655. The quarter galleries, the latrine in the main chains and the disposition of the ports are not unlike those of the 'Old James'. 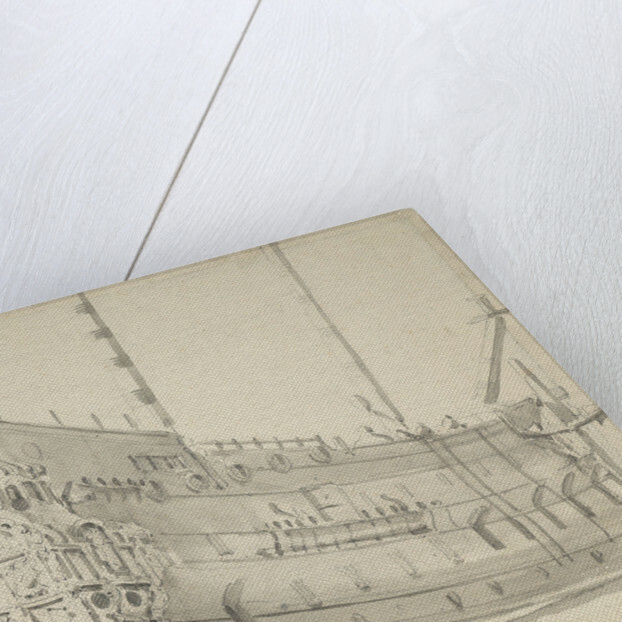 There are drawings of similar ships in the Rijksmuseum, Amsterdam. Similar in style to PAH1840 but less carefully finished.